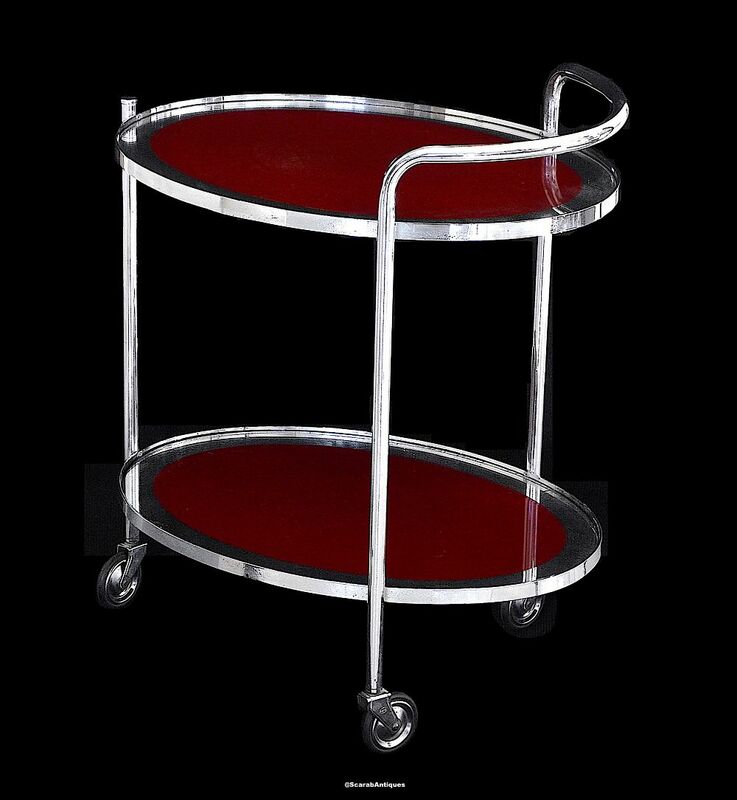 This stylish two tiered drinks trolley is in glass and chrome and was made in the 1930s-1940s. It is oval shaped with two wheels at the back and one at the front all with original chrome castors and large black "tyres". Both sides of the castors are stamped "Olgryp". There is a curved chrome tube handle positioned at the back of the trolley above the two back wheels. Both removable glass shelves are oval shaped with an outer clear mirrored rim and a large red centre. This is a great multi-purpose item that can be used for its original purpose or as a shelving unit or side table.